At the moment the interest in rhinoceros horn in Australia seems to be exploding. At Klepner’s we have seen several items come through for valuation and have been consulted by many auction houses in order to verify the authenticity of various objects made from rhinoceros horn. The dreadful truth is that in addition to being carved, rhinoceros horn is being consumed in Traditional Chinese Medicine to cure wide array of maladies, from headaches to cancer and even as a form of Viagra, where it sells for about $2000.00 per kilo. This “base” price sets the bench mark in exactly the same way that the spot price sets the base price for gold in jewellery and that price is rising. It cannot be argued that some very fine, exquisitely carved, historical & antique artefacts have been carved from rhinoceros horn, particularly those carved during the Quian Long period (1736-1795) in China. Items such as libation cups, brush washers, vases and carved whole horns, featuring base relief carving, are seen in many museums in the world and of course, private collections. It is illegal in Australia to import, buy or sell rhinoceros horn, unless it is a verified antique, in the same way ivory & coral are protected, this is where we often come in. The problem is, where the is demand, there is always someone, somewhere, waiting to capitalize on it. Currently three of the five species, the Sumatran, Javan and Black Rhino are all listed as 'critically endangered'. An upcoming edition of the Australian Gemmologist will include a paper I have written on this very unsettling subject. 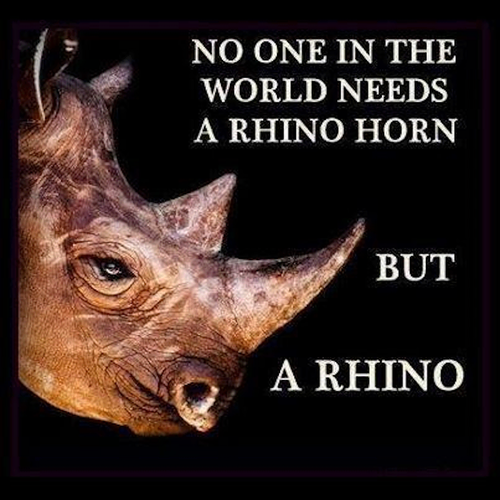 As the saying goes No one in the world needs rhino horn, but a rhino.